All marathons are my favorite! 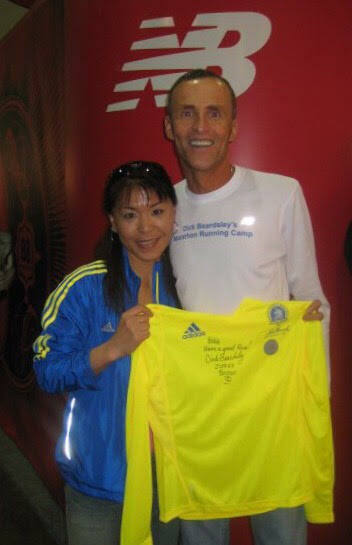 But Boston Marathon was very honored to be participated. Running, Bicycle ride, Outdoor activities, Baking Wine tasting, Listening a Jazz music. Post: Anything goes with beer and ice cream for dessert! I am not good reader and I haven't chance to make a time due to my daily schedule so I do listen the audio book, the bible and podcast every day. I generally run a solo, but I also enjoy running with running friends. I am trying to get the World Six Major Marathons and I have only London Marathon is left to go! I like to challenge myself, determination, accomplishment when I crossed a finish-line and always look forward to running a race again. I also enjoy feel a fresh air, I like to talk to God and pray. I enjoy meet great peoples. All Marathons have a great memories, I just love to feel energies, excitement and respect from all runners, volunteers, their communities and spectators. I love running on a marathon! I enjoy running, helping and encourage to other runners for any ages group. I haven't had a chance to do a real marathon pacer, but I have had a group pacer practice run and also I enjoyed helping for Girls on the Run. Look forward to running with great and motivated runners, I am very honor to be a pacer and make a great journey! I have shared good tips such as “keep your energy”, “stay positive” “you got this!” to girls on the run team during a practice and a race day. They did wonderful and just love to watch their happy moments! Look forward to running with great runners and I would like to make an experiences future races! I will keep motivate, stay focus throughout a race without injury which means make sure that keep hydrate, keep your energy especially in the beginning of miles. 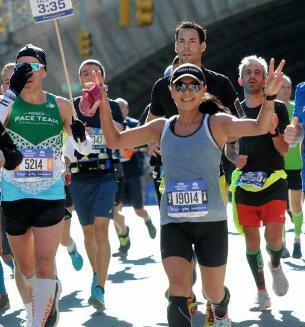 This is my personal thing: when I was training my very first marathon, at Grandma's marathon, my trainer told me that “No matter you feel tired, your legs got clumped and hurts during a race, BUT if you see the cameraman's, make sure you smile GOOD! Show them your best shots!” So when you see the cameraman’s', smile GOOD! I am going to go mission trip to Haiti this coming February 2019! I am very excited and share a God's worlds with helping hands. I have been an involved with the Banquit where serving a meals to lower-income and homeless, the Human Society for dogs and cats and Habitat Humanity for help building a houses. I enjoy helping the peoples and communities.